A man introduces a modern play, detailing how everyone has been fooled about who Shakespeare was and suggesting that someone else wrote all of his most famous texts. This story is then projected back in Elizabethan England, as we are introduced to a playwright named Ben Jonson (Sebastian Armesto), who is being hunted down. 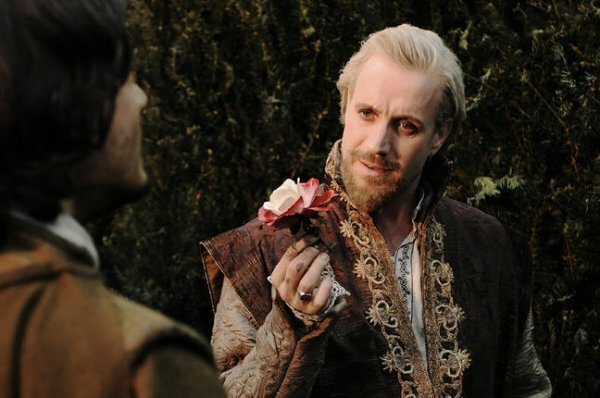 The story then cuts back again to an earlier period where Jonson is called upon by Edward de Vere (Rhys Ifans). De Vere realises that he can inspire political movements by using the plays to sway the public. Given politically inclined art is outlawed, he forces Jonson to attach his own name to the works. Yet Jonson is overshadowed by William Shakespeare (Rafe Spall), a buffoon who jumps on the stage at the end of a production, claiming authorship over it. He successfully blackmails the Earl, threatening to announce the truth if he isn’t paid. 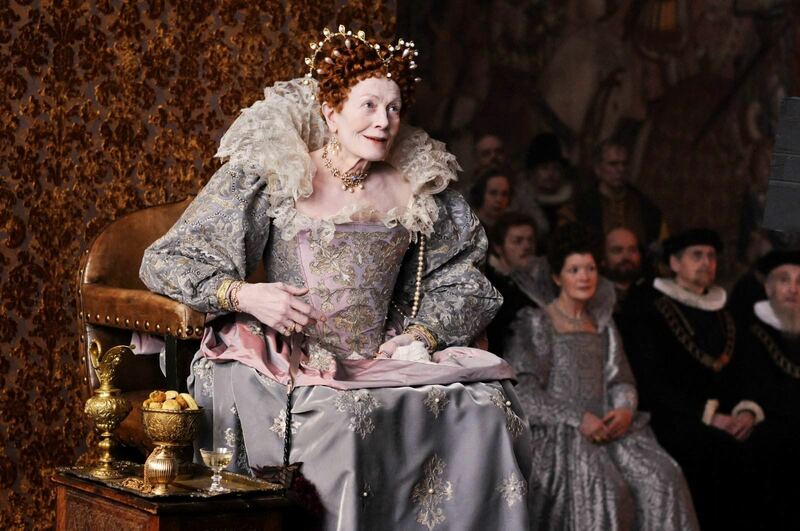 Meanwhile, the Earl is caught up in a conspiracy involving Queen Elizabeth I (Vanessa Redgrave) and a number of figures who are looking to become her successor. Roland Emmerich is a director who revels in disasters. Some are intentional, like the sci-fi epic Independence Day (1996) and others, like Godzilla (1998), are just plain bad. Anonymous is Emmerich’s most mature film so far. It’s handsomely crafted, offering the scale of a medieval epic and yet it’s efficiently acted to resemble more of a closed door conspiracy thriller. For all of Anonymous’ qualities, of which there are many, it’s a near impenetrable film. A fascinating premise is undone by a narrative so clumsily told and convoluted that on first viewing it is impossible to realise how any of these characters relate to one another and what is going on. The film is inept with its time frames. The opening quarter alone shifts between three or four different periods, using flashbacks and moving the narrative backwards and forwards in time. The narrative is disjointed without any clear reasoning. There are two major threads running throughout the film but they’re not given equal weight. The film has advertised the focus on Jonson and Shakespeare but much of the story is actually devoted to the conspiracy involving the Queen. This is problematic for a number of reasons. It leaves the parallels between the two strands thinly stretched, scarcely determining that two different men forgo an opportunity for greatness in the public eye. It also means the film scattershot in perspective too. Characters fade in and out of the story, with less interesting figures taking up ample screen time. It’s a common ploy in Emmerich’s film to use a broad spectrum of figures because it enlarges the landscapes of his narratives. It was sufficient in Independence Day as the archetypes were visible. A lot of the side characters here are only vaguely established, making the story opaque when it chooses to focus on them. Rhys Ifans brings power and conviction to his role but he fades in and out of the story and has less dialogue than we would like when he’s on screen. He still has the best line in the film when he says: “All artists have something to say. Or they’d make shoes”. Neither of the two writers are particularly well developed though, with Spall’s comic relief at odds with the darkness of the rest of the film. There are still some spectacular moments that demonstrate Emmerich’s visual flair. His use of use of establishment shots is distractingly frequent but he draws some striking images. The fog over the river and the snow falling on the cityscapes gives the film an occasionally chilling atmosphere. And there are fine touches, like when the film montages through many of Shakespeare’s most famous works on stage, glimpsing several masterworks. It is extraordinary to consider how some of the greatest texts of all time were written not only without computers or word processors but even ordinary pens too, leaving merely the brush of a quill on loose sheets of parchment to preserve these texts over time. 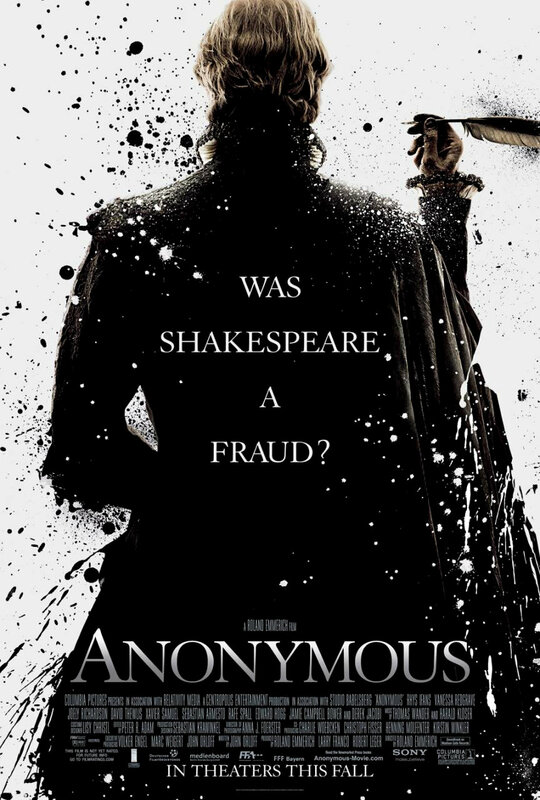 Perhaps in calling this film ‘Anonymous’, Emmerich is alluding to appropriation: the name of a text or an author is irrelevant if the essence of a classic Shakespearean tragedy is retained at the core of the narrative. That’s captured somewhere in this film too but Emmerich can’t unscramble the labyrinth with any cohesion. It’s a rare case of a film that might improve on multiple viewings but on an initial screening it is difficult to recommend this beautiful but long-winded thriller.